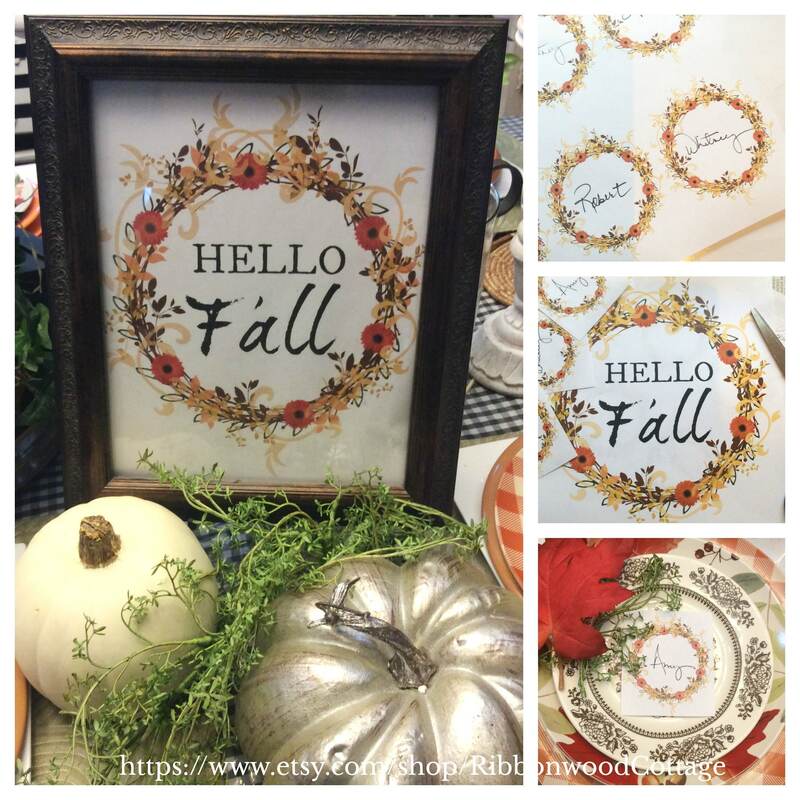 I love this Fall Bundle! Be sure to see all the pictures for the things I did with this printable once it is on card stock or nice paper. 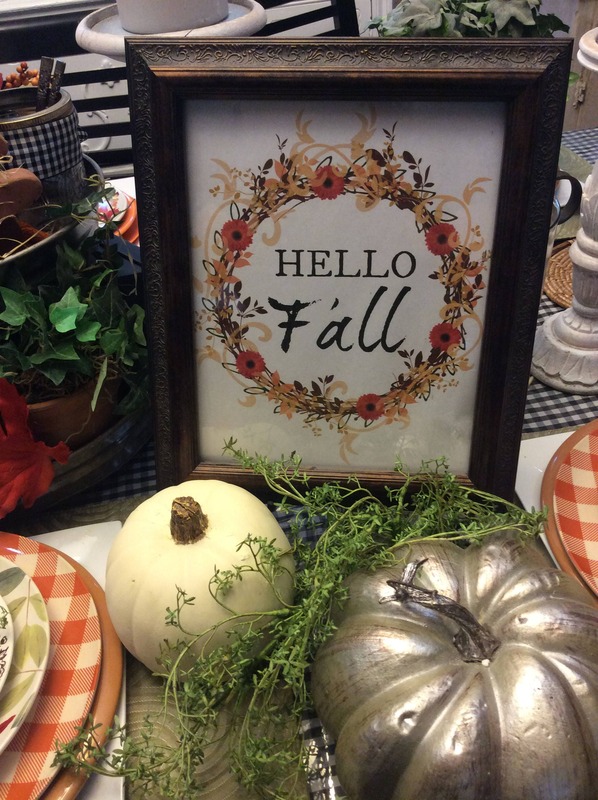 The main 8 x 10 I printed out on nicer card stock, trimmed it down to fit my Fall rustic frame. Depending on the frame you use, you may not have to trim the page at all. My frame seemed to be a bit smaller than the typical 8 x 10 picture frame! File will be free of watermarks when downloaded. 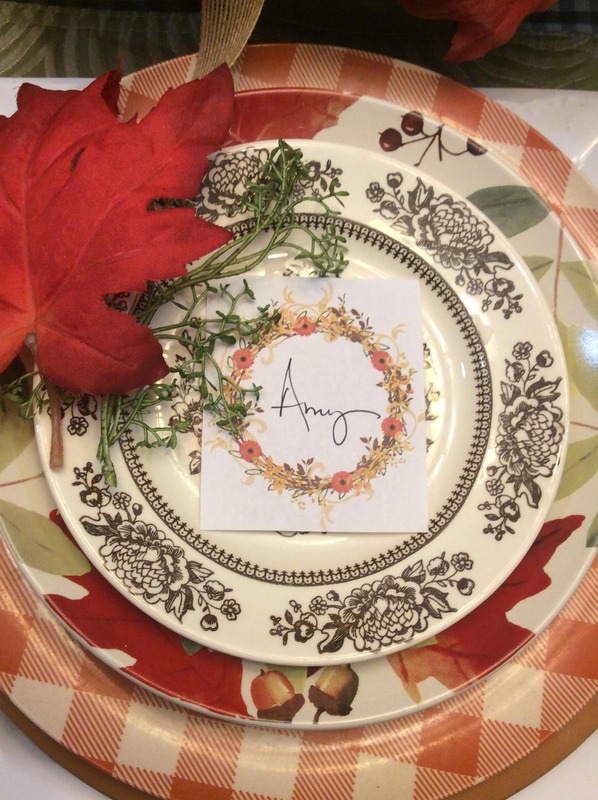 Then the smaller wreaths that are blank are perfect for adding names and using as place cards on a Fall Tablescape. 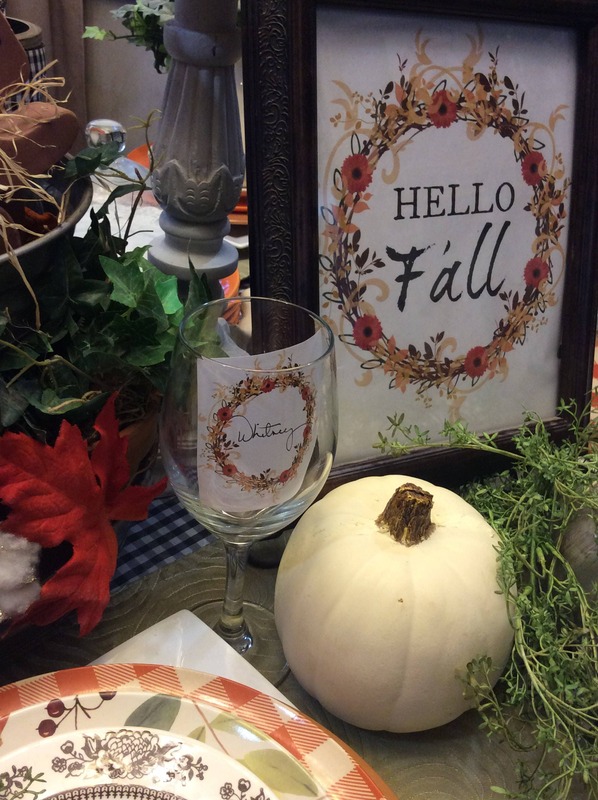 If you'll notice in one of the pictures I simply placed the name card/place card inside a water goblet. 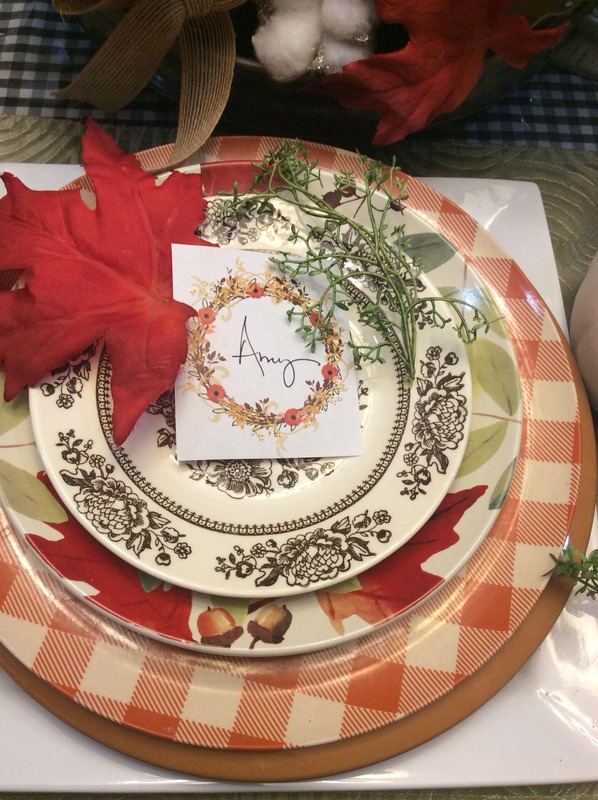 Or it can be placed on a plate with a fall leaf next to it for added decor. 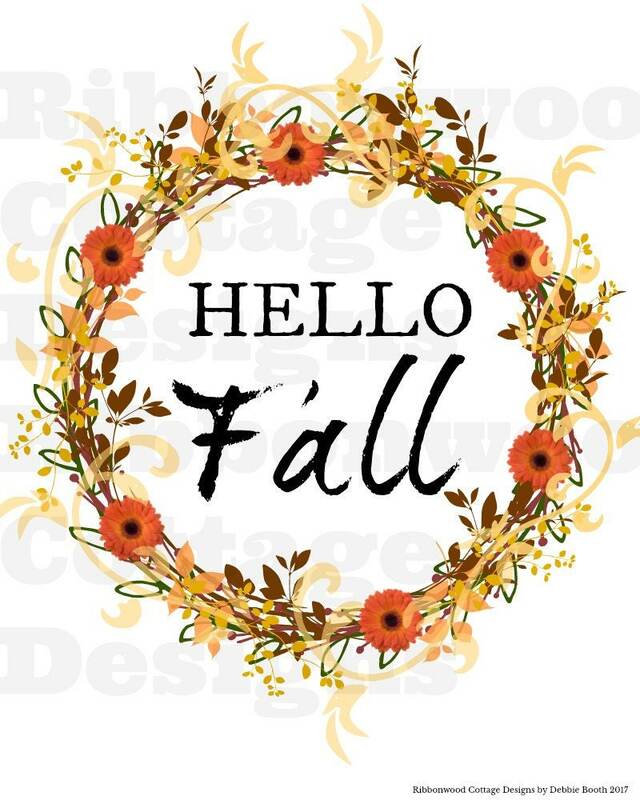 I also like the smaller Fall wreaths that are small and blank for adding little positive words and using them in my planner. 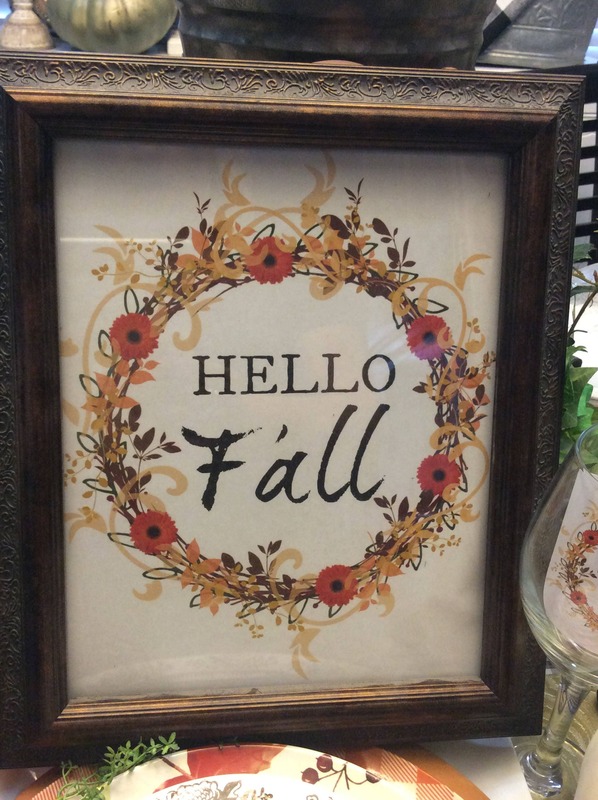 You'll receive the large Hello Fall wreath to be printed out on one page for framing, etc. 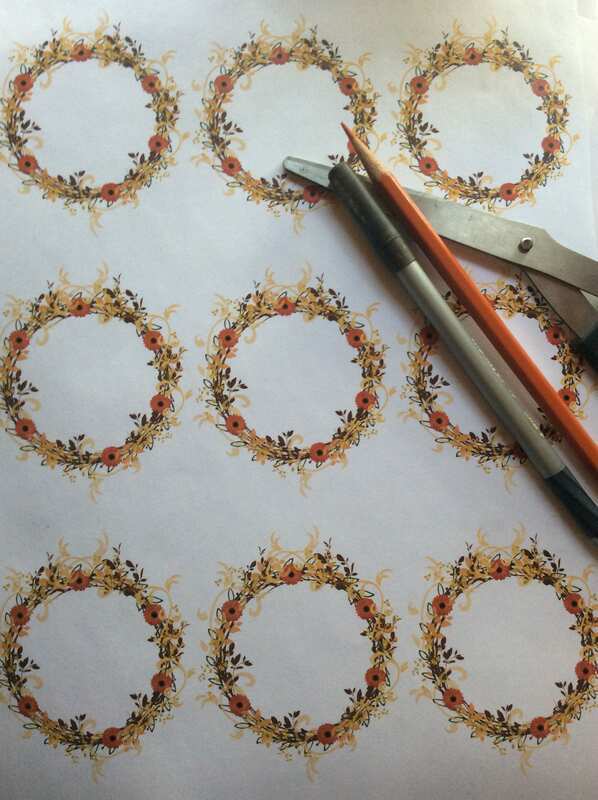 Then there are two other files one wreath that is blank inside for you to write your own word in if desired and one with smaller wreaths that are blank inside for embellishing or writing names, words, etc. Three full file pages. These graphics have high resolution and also are simple to use for your daily planner, used as place cards or to use and embellish on a blank card for mailing to a friend. Each picture shows a general idea of what to do with the graphics once they have been downloaded.